Wonderful lyrics by Ruth Artman and spectacular bell/keyboard accompaniment breathe new excitement into this international favorite! May be performed with orchestra bells, handbells, or chimes - the more the merrier! 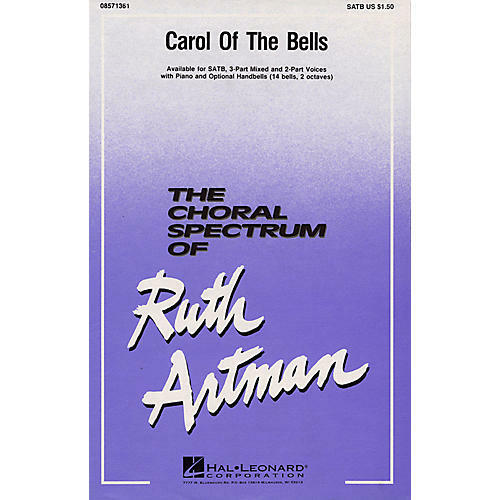 Available: SATB, 2-Part, 3-Part Mixed. Performance Time: Approx. 1:50.